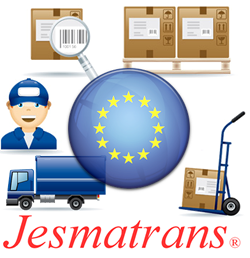 Welcome to Jesmatrans, one of the leading companies in international removals services / FOREIGN, we want your visit to our site, be nice so we can provide our international removal services with the confidence of a solid and professional company with a career started in the – 1994 – growing day by day with the experience we gained from our customers. Trust your move in the hands of professionals, requires a good service, quality removals service. Welcome Jesmatrans, one of the leading companies in international removal services, we want your visit to our site, be nice so we can provide our international moving services, with the confidence of a solid and professional company, with a trajectory started in the – 1994 – growing every day with the experience we gained from our customers. Trust your move in the hands of professionals, and live a quiet, quality removals service. Jesmatrans Removals is a removal company international, who operates from Spain to all European Community – USA and Latin America, also will move from France – Italy – Germany – Belgium – Netherlands. destined for Spain. We handle everything you need for your move, from packing – packaging – remove furniture – reassembling – storage – elevator – storage, packaged in special boxes and resilient, all well packed with filler material, bubble wrap, bags, boxes for books, wardrobe boxes for hanging delicate garments, all his belongings are in good hands, confident of a good service consisting only of the best relocation professionals. Request a quote for both national and international removals, we will pack and made dismantling and reassembling of your furniture.